(TibetanReview.net, Nov10, 2017) – Gyaltsen Norbu, the 11th Panchen Lama of Tibet appointed by China to replace the one recognized by the Dalai Lama, has said that the 19th National Congress of the Communist Party of China (CPC) held in Beijing over Oct 18-24, could benefit Buddhism and called on all Buddhists to be grateful to their rulers in Beijing for it. Xi Jinping Thought on Socialism with Chinese Characteristics for a New Era could be a guiding light for Buddhism in adapting to socialism with Chinese characteristics and continuing to develop, China’s official globaltimes.cn Nov 8 cited him as saying at the opening ceremony in Beijing on Nov 6 for a seminar on interpreting Tibetan Buddhist doctrine. On the sidelines of the CPC National Congress, Zhang Yijiong, executive vice-minister of the United Front Work Department of the CPC Central Committee and who heads the department’s Tibet working group, had said during a press briefing that Tibetan Buddhism was a special religion “born in our ancient China”, that “it’s a Chinese religion. It didn’t come in from the outside.” And he called for the religion’s further sinicization. Gyaltsen Norbu was apparently answering to this call, as was the seminar. The report cited him as saying the interpretation of Tibetan Buddhist doctrine should be based on the awareness of “the developments and the needs of Tibetan areas, or the whole of China”. 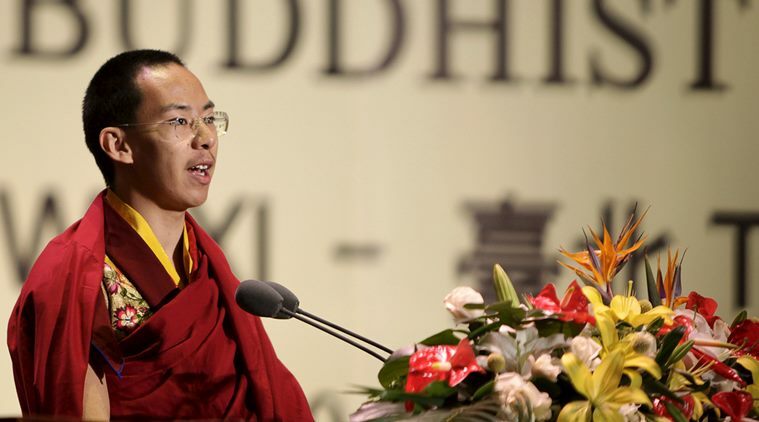 And taking cue from the past dicta of top Chinese leaders in the Tibet Autonomous Region, he has said “Buddhists should be grateful for the nation, for life, for their parents, and the three jewels – Buddha, the Dharma, and the Sangha – and return the offerings of the grace of the homeland and life”. Gyaltsen Norbu currently enjoys status as one of the several vice-presidents of the Buddhist Association of China and as a member of the Standing Committee of the Chinese People’s Political Consultative Conference National Committee, the country’s top political advisory body with no real authority to affect decisions.